I recently decided to launch a YouTube Channel associated with this page. My intention is to explore sites in Ireland specifically from the perspective of the diaspora, and to explain something of these diaspora connections to viewers. 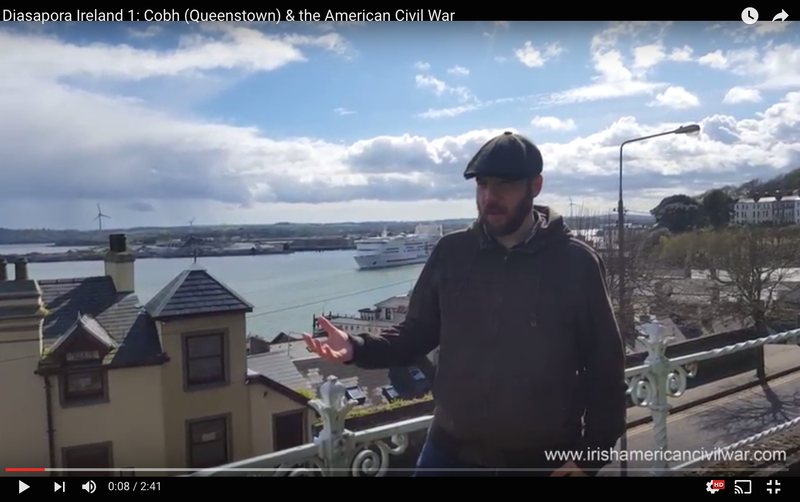 This weekend we travelled to Cobh (formerly Queenstown) in Co. Cork, Ireland’s main emigrant port, to discuss some of the town and harbour’s links with the American Civil War. If you are interested in watching the video you can do so below, I hope you enjoy it! Please let me know what you think, and if you are interested in the concept please consider subscribing to the YouTube channel. P.S. We are new to the trials of strong winds and editing software, so please bear with us in these early videos! Special thanks to Sara Nylund for all her hard work on it. The sound I am getting on the Cobh video is thinly telephonic and not really audible. Just wonder ing. Interesting! I was at Queenstown a few years ago. I imagine my ancestors set sail from there in the 1700s. 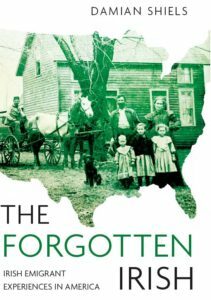 MITCHELL is a name of some of those that immigrated. It is a town with an amazing history Betty. We will certainly be returning there for some more videos in the future. I had great trouble hearing the sound, but the video portion was beautiful. The vista seemed so flat and empty, it must have taken unbelievable courage to travel all those thousands of miles and most likely never see home again. It did show what standing on the dock, waiting to get onboard was like. Thank you for a job well done. Please consider Closed Captions sometime in the future. We struggled a lot with the sound, as the wind was so strong we had to spend a few hours processing it to make it audible at all, hence the somewhat tinny nature. Some lessons learned after the first effort anyway, so we have a better microphone and windmuff en-route for the next one! Many thanks for that! Cobh will featurely strongly in future videos I suspect! Great info as always and so interesting. Thank you. I hope you continue these and I’m sure you will figure out the sound problems.